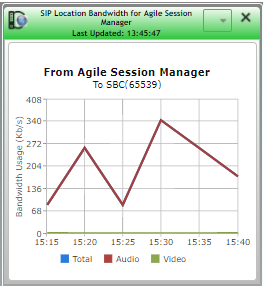 With intlx Solutions’ Avaya Visualize Monitoring, see real-time bandwidth per Session Manager location. You can also break down the bandwidth consumed by SIP applications by session type, allowing you to scale bandwidth resources based on real-time data. Our solution detects problems early, allowing you to take action before there is any impact on business critical services. It excels at real-time monitoring by keeping tabs on more data, and in more detail. Plus Real-Time Dashboards provides an ‘at a glance’ view of server and application up-time, drawing your attention to those issues which require intervention.